Status in Japan: Finished Series (4 tankoubons; 27 chapters). Clockworkers are advanced killing machines created during times of war. Despite the fact that war is no longer present, they continue to kill, so it’s now up to the CWA Organization to search and destroy them. One of the most lethal agents in the CWA is Machina, a violent girl who along with her companion, Deus, relentlessly destroys all Clockworkers who cross her path. 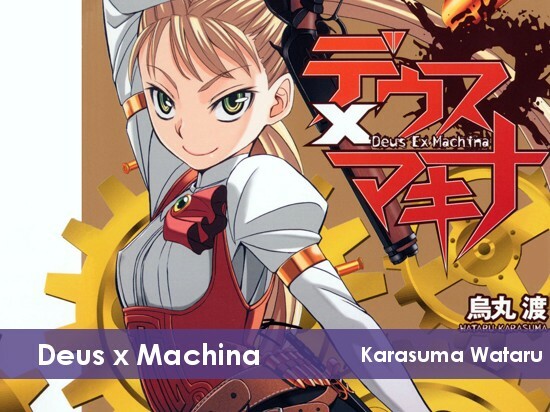 do you happen to have the raws for the last two chapters of deus x makina? I recognize that you guys have dropped this but I’d like to finish this up. Unfortunately, I can’t find a copy of them anywhere.